Unusually, health and safety has been on the front page of many pages of the UK’s newspapers this week. And for once the focus has been on the prevention of accidents, rather than another tragedy. The UK judicial system was thrown into chaos this week after a strike by prison officers meant that many prisoners waiting to stand trial were unable to be transported to court. Around 10,000 officers were estimated to have walked out in protest over concerns about health and safety conditions in British prisons. A rise in incidents of suicide, violence, murder and escapes have created an environment that the Prison Officers Association (POA) says is unsafe for their members and the prisoners themselves. Unable to strike legally, the POA called for a day of action with a skeleton crew of officers providing cover for emergencies, while the remainder walked out. The action was widely condemned by the Ministry of Justice and the press who claimed it was unjustified and bordering on illegal. Whether the officers were right or not is a matter for a disciplinary panel – but they do deserve credit for trying to draw attention to health and safety issues in the workplace. In many parts of the UK, the start of the annual two-minute silence held on Armistice Day is signalled by launching a maroon rocket. However, a new EU-mandated law that comes into force in January means that this may be the last year that the tradition is upheld. According to the new rules it will be illegal for anyone to buy “P2” fireworks (maroons are of this type) without first receiving specialist training in their safe use. Already several councils have decided they cannot afford the additional expense. Peterborough City Council replaced the traditional maroon with a whistle this year, and expect to do so at every Remembrance Day service in future too. As mini explosives, fireworks are undeniably dangerous. It does make sense to try and control sale of rockets to the general public. And the reality is that legislating for an Armistice Day loophole will no doubt create other problems further down the line, weakening the protections offered. But for many people, the ban on maroon rockets feels like another piece of EU meddling that spoils a long-held British tradition. Despite the negative spin placed on both these stories by some media outlets, it is good to see health and safety issues being discussed publicly at last. Sometimes there are instances where current provisions are insufficient to protect employees – and they should be encouraged to speak up to highlight issues, as the prison officers did. In other cases, measures designed to protect people from injury may be unpopular – but they are necessary. But it’s up to the industry to educate people as to why these rules and laws are so important. 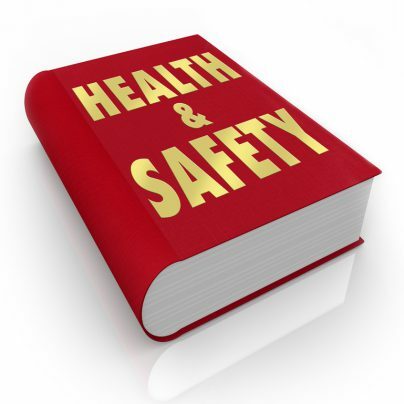 For help and advice about encouraging your workforce adopt new, unpopular health and safety guidelines, please get in touch.